VANCOUVER — They heard the mumbling. They were the collective question mark coming into the season. Union had the quarterback. Union had the running backs. Union had the receivers. Oh, and Union had the defense, too. But what about that offensive line? No one questions that line now. Not after Union scored 154 points in its three playoff games. Not after Union completed a 9-0 regular season that included victories over Mountain View, Puyallup, El Cerrito, Calif., and Camas. “I feel like we’ve proved ourselves to be one of the best lines in the state,” said senior lineman Giovanny Rojo. The Titans are 12-0 and are set to host a Class 4A state semifinal game at 1 p.m. Saturday at McKenzie Stadium. 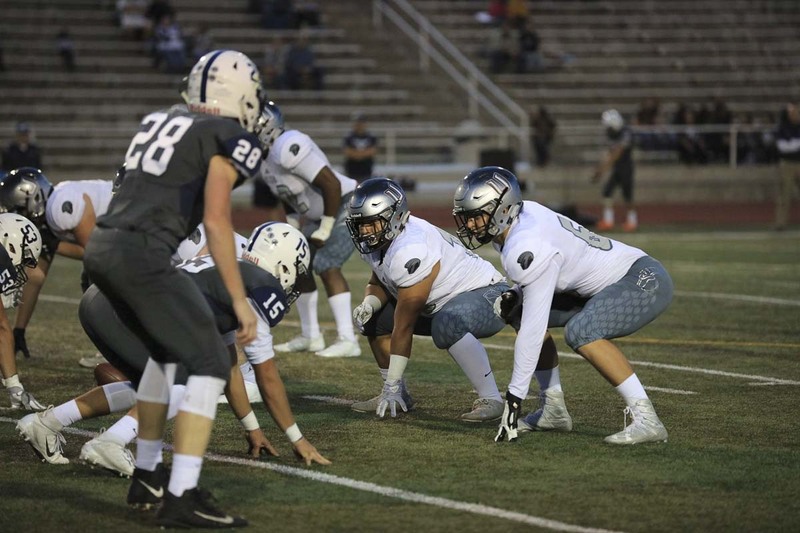 It is a rematch from the Week 5 win over Puyallup, when Union, with the help of that quality offensive line, scored three touchdowns in the final nine minutes to win 38-31. A year ago, the Union linemen did have their difficulties trying to figure out all that the coaches were asking them to do. This year, the game got easier — another year of experience will do that — and the linemen figured out what offensive line coach Mark Rego was teaching them. They also have promised to always remember what Rego taught them, about the game and life, before cancer took Rego from the Clark County football community in the middle of the season. Rego knew all the schemes associated with the offensive line. But he was more than just football. On the football field, the Titans want to win each battle, each play. But Rego also said there was no reason to rub it in to an opponent. Penalties happen. A holding call, for example. But the Union offensive linemen never want to be called for an unsportsmanship penalty. That is not the Rego way. To honor his memory, the Titans just want to keep doing what he taught them. Even when these linemen were the mystery, Rego believed in them. People were questioning the linemen? So what. “We might as well make a hit and move people,” Rojo said. 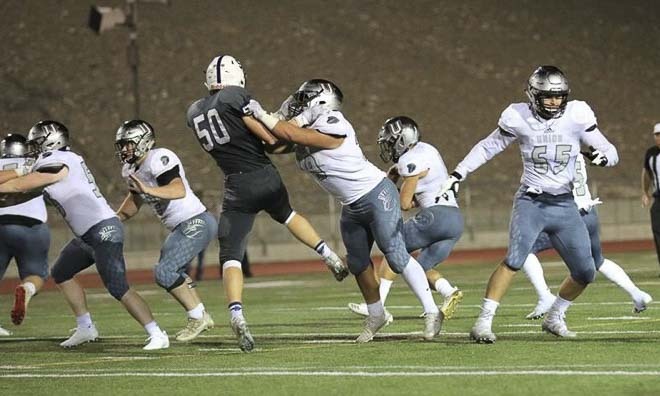 The Skyview game really showed the value of this offensive line. The Titans scored on their first three possessions. Then quarterback Lincoln Victor was injured and left the game. Three starting linemen also left that game. Union still won the game but did not score again. When healthy, though, watch out. The Titans scored 55 points in Week 10, then 50 in the first round at state. The Titans got 49 in the quarterfinals. The offense is clicking. Not just with the stars, but with everybody. That includes Rojo, Wilson and the other guys in the main rotation on the offensive line: Dumitru Salagor, Jack Grimstead, Manaia Fuertes, and Rocky Mataia. “It feels like we are accomplishing something,” Rojo said. They hang out together off the field, too. “We do what any linemen would do. We go eat,” Rojo said. In the summer, they would go swimming. “We’d make half the water in the pool go away because we’re all jumping in,” Rojo said. 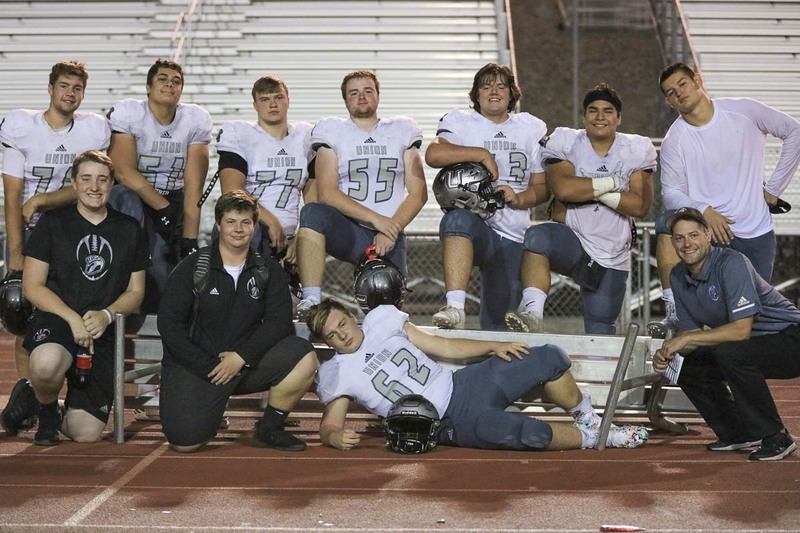 During a game against Chiawana this season, the offensive linemen sat down on a bench on the sideline, waiting for instructions, and the bench just couldn’t take it. The legs broke. That made for a good laugh, and an offensive line photo after the game. This year, perhaps, more than any other. The linemen knew all eyes were on them. Their leader, their line coach, believed in them and showed them the way. On the football field and in life: Just keep your head up and keep moving forward. The Union Titans are moving into the state semifinals.